BMW has appointed Zibrant to deliver five international incentive travel programmes for the brand, following an extensive tender process. The incentives, the first of which concluded earlier this month, will see the agency create bespoke travel experiences for high performing BMW staff, including a trip to Vietnam for 60 sales managers in February 2017. 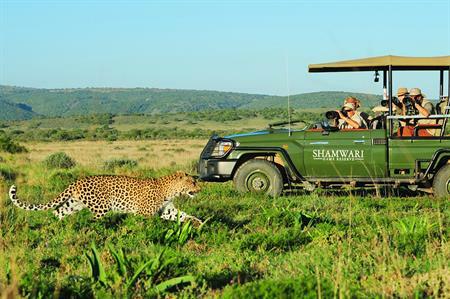 Zibrant, which was recently acquired by BCD Meetings and Events, will also deliver a travel programme for 16 heads of business to Finland in March 2017, followed by a five-day joint sales trip for 40 BMW and Mini employees to Shamwari Game Reserve and Cape Town in April 2017. Mark Rose, ‎strategic client director at Zibrant LIVE!, said: "As a team, we set out to create incentives that inspire, engaging directly with our guests to build experiences that live long in the memory. We are thrilled to have been appointed by BMW and look forward to working with them to deliver a successful programme of events that recognise and reward their high performing colleagues."